Chances are you’ve heard all of the stories about building citations. The stories are a mix of truths and half-truths while some are just outright lying to you. So, imagine the confusion it stirs among businesses and business owners. It’s also interesting how certain myths about the topic have managed to stump even the technically inclined. Thus, leading to a continuous debate over it. The confusion could cause you to miss out on the benefits of citations to your local SEO campaign. So, among all the stories you’ve heard which ones do you think are facts and which are fictional? Then again, a better question would be what will work versus what won’t work for you as you build citations. 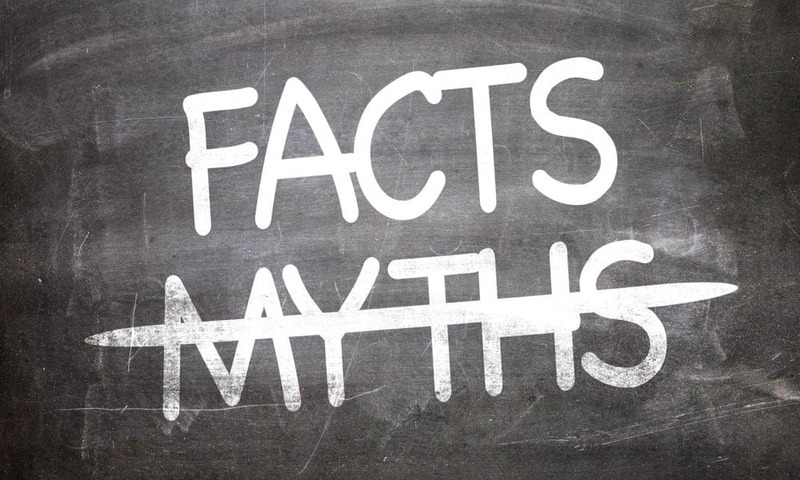 We rounded up the top myths about citation building. These stories have yet to die down as people continue to obsess over them. Likewise, we’ll reveal the truth behind each one to help ease your confusion and give you the confidence needed to build citations for your business. Hence, the truth shall set you free. It’s possible you’ve been told this lie several times, which has two sides to its story. The first has business owners convinced that a slight modification of their business name could boost ranking. The second says doing so would result in an upset. Well, neither side of the story is real. The truth is unless you change your address or phone number then Google won’t consider it. As long as the AP in your NAP stays the same in all of your citations, then it won’t hurt your rating. The same goes for inconsistent results and duplication. Then again, it won’t boost it either. The bottom line is you don’t have to panic over the changes. If you’ve been told this before, then you were misled on purpose. Indeed, someone must want your rankings to drop. The truth is your phone number is primary to your business as it is your unique identifier. Here’s what can happen and what you should do. The last thing you want is to have customers complain about calling your business because they were looking for the previous business who used the phone number. When the number of complaints adds up, Google will mark it against you. As a result, your score on Google Maps goes down. So, make it a point to stake your claim to the phone number! You don’t need to obsess over your suite number missing in your citations. If you’re wondering why it doesn’t show up in a citation, well it’s because Google itself eliminates it. No doubt, the answer raised a few eyebrows. The truth is Google does this for most businesses on its listings. Why? Because it doesn’t recognize the numbers. Moreover, people who will search for your business would have different ways of entering their queries like a street address. Hence, Google is more interested in your pin marker to help determine where your business is. The bottom line is you can rest assured your customers would be able to find you. If you’re a small business, then the mere mention of an error in your data would send you into a panic. Unscrupulous SEO companies feed on this fear and use it to convince you to hire them to remedy the situation. As a result, you pay for a citation cleanup in a flash. You should be aware that the list the sites they would present to you are smaller directories. Thus, variances in these locations won’t affect your rankings. Why? It’s because Google doesn’t index them. Hence, you’ll only be wasting your money to have an SEO company fix your data on these sites. Your focus should be on the top sites, which amounts to about fifty at most. Your NAP on these sites should be the same. If not, then you still don’t need to panic. You can quickly correct the problem on the aggregate site, and in turn, this will solve the variations. While the benefits of citation building are undeniable, you should know it’s not the only strategy you can use to boost your rankings. Moreover, it shouldn’t be the only strategy you use. If you do, then you’re limiting your potential. Citations are only part of the strategy. It’s where you begin then you should follow it up with other strategies. Customized title and meta description tags are still important. When carefully crafted, it serves as a useful mini-ad for your business. Pay attention to online reviews, in particular, those posted on the Facebook page for your business and on GMB. Make sure to reply to the reviews. When you do, you can gain points on Google for showing how much you value the feedback and reviews of your customers. Use schema markup to make your business stand out among your competitors. Structured data markup allows you to put in additional information about what you sell or the services you provide. Google’s spiders also use structured data markup to know more about your site’s content. You should be aware not many businesses are using it yet. So, it could give you an edge in your local SEO campaign. Citation building can be tricky, in particular for the uninitiated. The proliferation of myths about it doesn’t help either. It only confuses and can cause you to make costly mistakes. Hence, it’s in your best interest to learn the truth behind each one. In doing so, you’ll be more confident and have a better understanding of how to manage your SEO efforts.